Our 1076 Design Classic sectional is a true icon of the modern age. Midcentury modern pioneer Milo Baughman designed this amazingly versatile and functional modular sectional system in 1967. With 3 basic units: a chair, an ottoman and a corner chair, a plethora of arrangements can be achieved. 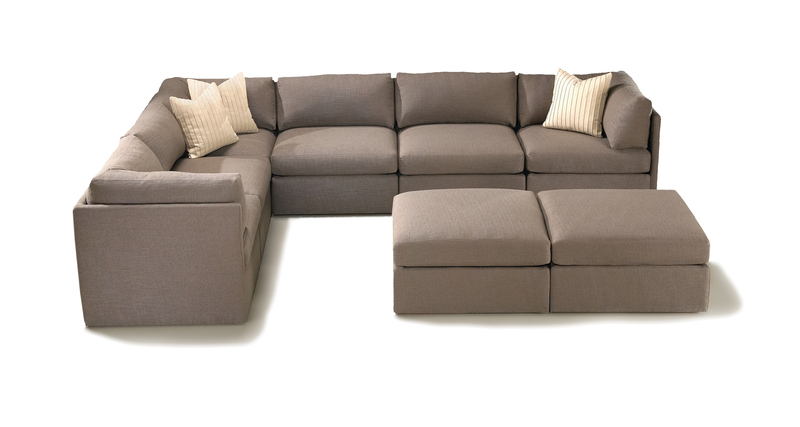 Also know as the "pit" sectional due to its incredible comfort, the 1076 Design Classic functions in numerous environs. Customize your sectional by choosing from our three different modular units to create the perfect configuration. For upholstery select from any of our in-house curated fabrics and leathers. Height to top of back cushion 30 inches. Throw pillows optional.